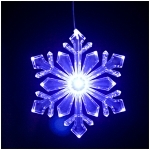 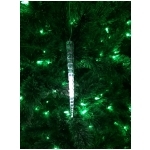 Mr. Light Acrylic Snowflake Ornament String Light Set, 25 Blue and White LEDs, 10 ft. Long, Battery Operated. 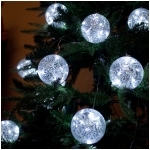 These snowflakes require 3 AA batteries (not included). 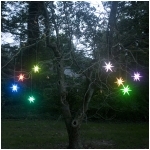 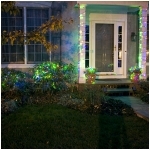 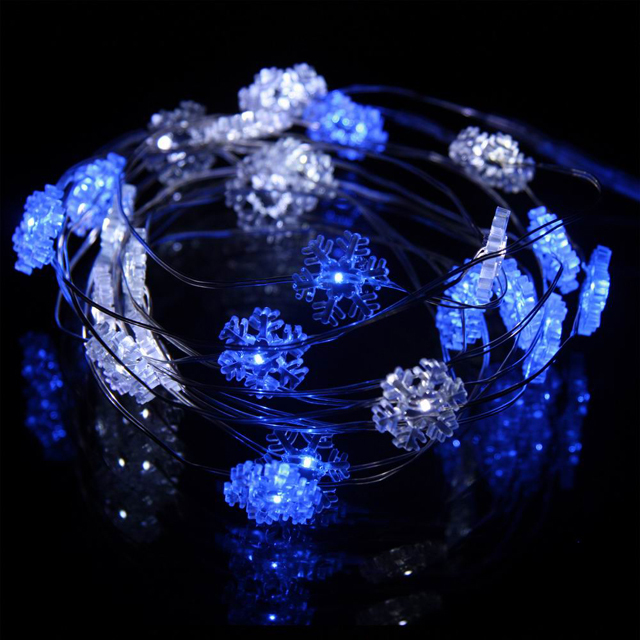 LED snowflake lights are a versatile home decor, bendable into any shape.